Mark Chehi is a partner in the Corporate Restructuring Group of Skadden, Arps. 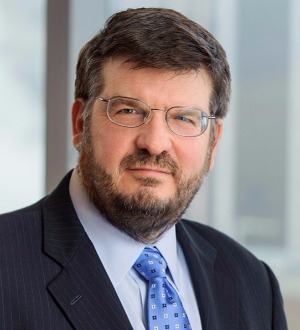 He has represented numerous public and private companies in out-of-court restructurings and workouts, “prepackaged” and prearranged bankruptcies, traditional Chapter 11 cases, and related transactions, strategy and governance issues. He provides U.S. representation and strategic advice to international creditors and administrators, appears in court regularly, and takes lead roles in litigated matters, including bankruptcy, insolvency, fiduciary breach and commercial litigation, and mediations. Mr. Chehi has represented lenders, acquirers, shareholders, creditors’ committees, committee members and board special committees in a wide variety of matters, including international and cross-border situations. Additionally, he advises officers and directors of companies and other stakeholders involved in financial restructurings on corporate governance and fiduciary duties. During his career, Mr. Chehi has had primary responsibility in numerous significant in-court and out-of-court restructurings. His public representations include the following Chapter 11 matters: Birch Telecom (company); Bruno’s (acquirer); Buffets Restaurants (senior lender agent); Congoleum Corporation (parent); Chart Industries (company-prepak); Delaco Company (company-mass tort liabilities); Exodus Communications (company); GenTek (company); HCI Direct (company-prepak); LandAmerica Financial Group (outside directors); Lenox Healthcare (company); Mrs. Fields Cookies (company-prepak); NewComm Wireless (senior lender-stalking horse bidder); Nutritional Sourcing Corp. (creditors committee); Owens Corning (company); Russell-Stanley Holdings (company-prepak); Syms/Filene’s Basement (debtors); Tropicana Entertainment (senior lenders); UDC Homes (company); VeraSun Energy (company); Viatel (company); W.R. Grace (member of creditors committee); and Yellowstone Club (senior lenders). Mr. Chehi was named a “BTI Client Service All-Star 2012” by The BTI Consulting Group. He also is included regularly in Chambers USA: America’s Leading Lawyers for Business, Euromoney and Legal Media Group’s Guide to the World’s Leading Insolvency and Restructuring Lawyers, as well as The Legal 500 United States Guide and The Best Lawyers in America. Mr. Chehi is a guest lecturer at the Georgetown University McDonough School of Business on bankruptcy and corporate restructuring topics.